SPREG – The Fair of Kolubara region industry has become one of the most important regional fairs in West Serbia. This year, SPREG was held for the 9th time in a row in the premises of OMNI CENTAR in Valjevo (Dragojla Dudića str. 24). 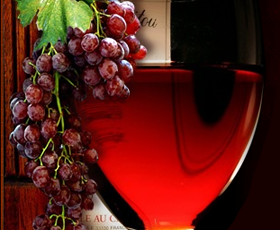 Based on last year’s positive experience, Wine Exposition will be organized for the second time in the city of Šabac. The exposition has both practical and educational significance. For the 9th time in a row, Entrepreneurship Fair “PRVISI” will be held at the Cultural Centre of Knjaževac (Branka Radičevića str. 1) on 20th and 21st April, 2012, and bring together producers of wine, brandy, honey and souvenirs. At the same time, the venue will also host the second Spritzer Fest. “The Lady of Aleksandrovac” has walked out of the Župa County Museum and joined vinegrowers and wine-makers from Župa region in promotion of wine and wine tourism in Župa. Already during the first weekend in April 2012, fans of wine from Vojvodina vineyards got an opportunity to see at one place exhibited wines of the best wineries from Vojvodina province. For the seventh time in a row, Inđija gathered in one place wine producers from Vojvodina. Mikser’s creative team never sleeps…This time they have decided to bring together and present top wine-makers and chefs, gastronomy professionals and designers. Zagreb Wine Gourmet Weekend is a new wine & dine festival which will be held on 13th-15th April, 2012 in the premises of Glyptotheque (sculpture museum) of the Croatian Academy for Sciences and Arts and Kaptol Centre (Medvedgradska 2, Zagreb). Specialized magazine on wine and spirits WINE STYLE is organizing for the fourth year in a row the Regional Wine Conference and Exclusive Wine Salon on 30th and 31st March, 2012. Dejan Stanković, owner of Vinastra Winery, converted his love of wine and grapes into a vision of a wine & tourism centre in Banat region (north-east Serbia). Name of the winery denotes “A Wine Star” – the same star which is also mentioned by the famous Serbian writer, Miloš Crnjanski, in his novel “Migrations”. Tradition and quality of Smederevo wines is faithfully preserved and cultivated by Dragan Vasić Janko, who grows the following grape varieties on 9 hectares of his own vineyards: Chardonnay, Gewurztraminer, Smederevka, Welschriesling, Rheinriesling, Cabernet Sauvignon, Merlot. Vineyards are located in the village of Ralja, on two estates: Taksa and Jelen Do.